I allowed as how I may have the firearms which could justify a concealed carry permit, but I don’t generally answer such questions. Then followed a bit of a history lesson and reminder about concealed carry of a handgun. “Vermont Carry,” of course, refers to Vermont’s hands-off policy allowing anyone who might legally own a handgun to carry it as he or she wishes – without a permit. A handful of states are Vermont Carry. Somewhere around three dozen states are “shall issue” (barring a criminal record, you get the permit) and most of the remainder are “may issue” (maybe you get it). Gary reminded me of the too-seldom-noted statistics (from the US Department of Justice, Bureau of Crime Statistics) which showed a significant and immediate drop in crime rates right after Florida (and then Virginia) pioneered “shall issue.” That got us into the discussion of proper training, and Front Sight. Founder Dr. Ignatius Piazza tells of finding himself in a 1988 shooting situation. Gun enthusiast that he was, he realized he lacked the skills to defend a life or family. It became his mission. 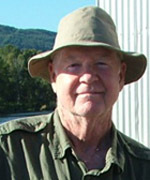 By early 1996, he had trained with well-known experts in the field and had ten students in the first Front Sight Institute two-day defensive handgun course. Today, Front Sight claims to train more students each year than all other shooting schools in the US combined. No one argues the numbers or the highest quality of the instructors. On a given day, there may be 1,000 students on the 550 acre site west of Las Vegas. They will be in special pistol, shotgun, carbine and rifle shooting classes, or hand to hand and bladed weapons self-defense courses. Dr. Piazza is up front about the Second Amendment – our right to bear arms. He won’t discuss “defending our right to bear arms,” because no one gains ground by defending. Instead, he and Front Sight focus on regaining the rights which have been whittled away over the last century. Front Sight folks welcome media attention; they simply require all reporters to complete one or another two day course and then let them report as they wish. You may have seen one of those reports on network news, cable broadcasts or in a national newspaper. Front Sight is now in the process of creating a destination shooter’s resort, if you will. On that 550 acres will soon be a 300 room hotel, a 300 unit condo/time share, and a 300 space RV park. Along with that, of course, will be laundromat, fast food, family dining, a convenience store and all the other things you would expect to find at a resort. This is a big deal. At some level it is almost mind boggling – a huge and growing movement to return gun and firearms ownership to a level of respect we haven’t seen in most of my lifetime. Who are the folks who come to learn to take care of themselves and families in dicey times? Policemen, stockbrokers, military servicemen, secretaries, actors, ditch diggers, economists, physicians, truckers, teachers, airline pilots and your neighbors – about a third of them women. Interestingly, on the blogs I searched, I found no mention of carelessness or bubbas. Carelessness is handled immediately. 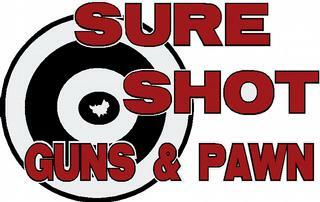 Every member and student goes through an annual background check. The courses and training go beyond handling weapons. They are about developing the attitudes and thought processes necessary to properly handle weapons in a self- or family-defense situation. See for yourself. Get a free DVD at info@frontsight.com. You will likely be as fascinated as I was at the Front Sight story and insightful look at the history and erosion of our right to keep and bear arms. Near the end you will find a pitch for you to become a member at some level, for benefits and classes at no additional cost. At www.frontsight.com you will find information about instructors, the courses, scheduling, FAQs and offers for home study courses. Surf the web to find out more about people’s experiences with Front Sight. You can go to the headquarters – the near-Vegas location for training classes and site of the new Front Sight Resort – and take one or more of the two- or four-day self-defense courses, and be finished. Or you can join at one or another membership level for multiple family and course benefits. You could also just call Ellensburg’s Gary Brown at 509-607-0084, and see what he has in terms of training certificates and information. Will I go do one or another of the courses? I haven’t decided. Would I encourage my sons and daughters to do one or another of the courses? You bet. Front Sight is an organization – and a Second Amendment mission – about which every firearm owner among us should know. It was one of those impromptu off-Reecer Creek meetings of the Reecer Creek Rod, Gun, Working Dog & Outdoor Think Tank Benevolent Association. (As you recall, such meetings happen whenever two or more gather in the name of “outdoors.”) The primary agenda item seemed to be outdoor meals and summer breakfasts. It got me thinking about something I once said that even surprised me. At another of these impromptu gatherings a decade ago, the discussion on the floor was long-term outdoor buddies. 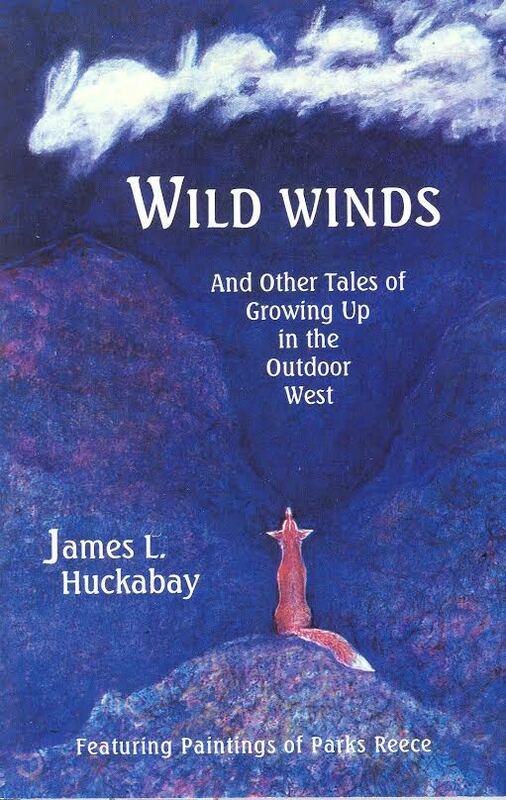 We shared names of our outdoor “family” members, and allowed as how those outdoor connections outlasted the drama and turmoil which sometimes drives us to our knees in bewilderment. In fact, we agreed, those relationships with family and adopted outdoor family often help us to maintain our balance as the world shifts under our feet. I turned to him without even thinking. “Uh, my sourdough starter… Yeah. It was old when I got it, and it has stood by me for outdoor breakfasts, lunches, dinners and backpack food since the 60s. Yup. My sourdough.” That being a final word on friendship, the meeting adjourned. An old Alaska gentleman brought my starter to Seattle around 1900. He passed some of the culture on to a young couple in 1915, telling them he had no idea how long it had been since an old miner handed him a crock of it. My folks got it in 1960, and passed some on to me in 1965. I just tell folks that my particular sourdough culture is at least 140 years old. Everyone needs a cooking specialty – a tasty meal that no one can, or would, duplicate. For decades, mine has revolved around that sourdough. Few mornings start better than a seat at a table with overflowing stacks of melt-in-your-mouth sourdough pancakes and waffles nestled among jars of homemade chokecherry, blueberry, current, peach and raspberry syrups. Somewhere on the table will be plates of home-cured and smoked antelope ham or hand-made breakfast sausages of deer, elk or antelope. From time to time, we bring in a handful of friends for such a “sourdough feast.” These breakfasts are almost legendary – if I do say so myself. We have handed out sourdough bread, biscuits, cornbread and cobbler. Sourdough-breaded game cutlets and sourdough cake and doughnuts have been scarfed-down by people who weren’t even hungry. I love my sourdough. Over the years, I’ve picked up dozens of small crocks to fill with starter and pass along (with the sourdough’s pedigree and a couple recipes) to various souls in need of a specialty. People get attached to that long-living culture of natural yeast; the sourdough becomes family. There is an infinite variety of fine old starters in the world, with a good number here in Paradise. (One in Roslyn makes the finest bread you ever munched over a poker game.) There are also several new starters with happy owners who captured natural yeast locally. The world is full of people willing to share, ways to start your own and recipes for everything with which you would feed your family. Just check the library or web, or contact me. Each starter is unique – depending on the natural yeast captured – and will fall along the spectrum from really sour to almost sweet to the nose and tongue. I’ve tried dozens across the U.S. and remain very happy with mine, which is remarkably mild, with a sourness easily controlled with the clock. Summer mornings are the perfect occasions to prepare family and community feasts from your very own starter. Many odes and essays have been written to celebrate the wonders of sourdough, including some to my own. Brad Johnson, the editor at the south of Denver daily paper for whom I first wrote this weekly column in the 1980s, did a remarkable piece about how my lively, bubbling sourdough overwhelmed the town of Castle Rock. Poems written in celebration of my high-country sourdough elk-camp pancakes, while often inappropriate for a family paper, are creative, reverent and exuberant. Now and then, there are outbursts which carry us back to the joy and nurturing of parents. It is always a special moment, I think, when we pause to celebrate old, old friends. A week from tonight – August 21 – two of my outdoor heroes will be down the Yakima River at Canyon River Lodge. The two days following that – next weekend – archery nuts and bow hunters will be half a mile further down the Canyon participating in a steep and tough field experience known as The Mutton Buster 3-D Shoot. Friday evening at 6, two-time Rocky Mountain Elk Foundation world champion elk caller Joel Turner will be teaching you all you need to know to communicate with bull elk during the coming mating fest in the woods. Joe Rotter, a partner in the Red’s Fly Shop/Canyon River Lodge operation along the Yakima, is one of the key guys bringing Joel back to Paradise. Both these men were geography majors and outdoor nuts during my tenure in that department at Central, and both have gone on to become personal heroes by creating great outdoor-oriented careers based on their passions and smarts. Saturday and Sunday events will start a 7 a.m. at the range downriver from Friday night’s Lodge elk calling event. Over these two field days – laid out to get bow hunters in the spirit of the upcoming seasons – archers will be challenged in many of the ways such hunting challenges us to shoot accurately under demanding conditions. The shoot costs $25 a day ($40 for both days) and $10 for youngsters. There will also be several raffles and shooting games, with opportunities to win some great gear ranging up to a Bowtech Carbon Icon bow. 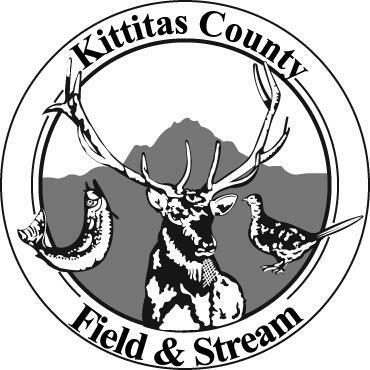 Sponsors of the event and various prizes include Red’s, the Kittitas County Field and Stream Club, Sitka and Tyler O’Brion’s Archery Brothers (the new archery shop housed in the Brothers N Arms store on Vantage Highway). The whole conversation about life-size 3-D targets and practicing firing arrows from above, below, behind and other angles never considered by a normal mind, got my head spinning. Max Tallent and I hunted Merriam’s gobblers with bows for a few years. Calling in a big turkey gobbler from half a mile to 60 feet remains a high point in my outdoor life, and I will always treasure one of my greatest trophies from that hunt – one tail feather neatly clipped by a razor-sharp broadhead. One bitter-cold morning in a tree stand along the South Platte River in NE Colorado, I finally caught up with a white-tail buck. As I climbed carefully down through the hoar frost, I looked up at the tree next to me. Glowing in the first rays of the sun, in that frost-coated tree, were half a dozen rooster pheasants. Max and I and old friend Fred Glover once had a great adventure on the George River in northern Quebec Province, chasing caribou bulls. We brought home some of the best eating ever, but what I remember most is balancing in muskeg and willows and letting the arrow shoot itself as a huge bull trotted by at 10 yards. Until I made the decision to give up the bow, I also found great joy chasing elk, muleys and carp. Find out more about Tyler and Archery Brothers at archerybrothers509@gmail.com or on Facebook. Find out more about next weekend’s Mutton Buster 3-D Shoot from Tyler or from Joe Rotter at joe@redsflyshop.com. It was another off-Reecer Creek meeting of the Reecer Creek Rod, Gun, Working Dog & Outdoor Think Tank Benevolent Association. The primary agenda item was “The Big One,” a la last week’s headline in this rag about our coming earthquake adventure. I was suggesting that the single most important thing a family might do to take care of itself – once enough emergency supplies were laid in to last at least two or three weeks – was to get trained, licensed and geared up for amateur radio, and become an active HAM family. “Well, let’s see,” I smiled. It was easy. Plenty of examples have been in various news outlets over the past few years, with several recent examples of the value of amateur radio right here in Paradise. A few years back, Diane (W7IJD) and I (KF7ALO) drove to Seaside, Oregon, to attend Sea-Pac. This is the annual long weekend convention of the Northwestern Division of the American Radio Relay League (ARRL), our US national organization of amateur radio operators. We went to learn more about our hobby and its tools and techniques, and came back with a heightened appreciation of the role ham radio plays in the lives of Americans. Most seminars focused on building gear and connecting with fellow HAMS, but I quickly discovered that a large number of them were about emergency preparedness and emergency management. The Saturday evening banquet speaker was Paul Linnman, a 40-year broadcaster at KATU TV2 in the Portland area. You probably know about Paul – he is famous in the world because he is the guy who brought you the Oregon Coast exploding whale story in fall of 1970. There may be 1,500 web sites featuring the hilarious video (the YouTube site alone has 1,000,000+ hits). Paul lamented a distinguished career still defined by his 20-something-self covered with rotting whale blubber falling from that 1970 sky. He then spoke glowingly of the times ARES/RACES (Amateur Radio Emergency Services/Radio Amateur Civil Emergency Services) HAMs saved lives and kept people in touch when storms and earthquakes wiped out other communication. Turns out that in most rural areas in the country, HAM radio operators really are the emergency backup communication plans. Here in Paradise, several mock disaster exercises have included amateur radio operators at key locations around the valley. In that “mustard gas mock disaster” at the Fairgrounds a few years back, more than 400 people from across the state polished skills and made it work. This was arguably the biggest mock disaster exercise in Eastern Washington history. You guessed it; 18 HAMs were in the middle of it all. After the recent Oso disaster, HAMs carried out critical communication services for family, friends and community. For decades, seasonal flooding and fires in the valley have brought together HAMs reaching out to those who’d lost communication and others close enough to problems to help. Through it all, members of the Rodeo City Radio Club and the Upper Kittitas County Amateur Radio Club were involved in preparations to handle emergency communication as needed. Others who might help with issues out in the county were standing by. Think about it. When that big earthquake hits – and it will – communication networks will be in a shambles. A million or more people will be headed this way, with limited ability to reach out to family and friends. Our emergency preparedness folks are developing sound plans for getting those West Side refugees out to staging areas in the Basin, but you are going to want to reach out to your people. HAM radio is decentralized. Take your radio and equipment into your yard, to the nearest shelter or onto dry ground. Set up your antenna, plug it into your radio and find whoever you need. You may have a mobile setup in your car. In an emergency, there will be other HAMs helping. After some pretty basic training, a licensing exam, and a little practice, you will be able to reach out to other licensed HAMs in your neighborhood or across the planet. Anyone who can get a license will have a call sign and be able to work radio contacts. There are three levels of licensing: technician, general and extra. We have two radio clubs in the county with regular monthly meetings. Similar clubs will be found almost anywhere you might go, with coaches, classes and plenty of opportunities to play HAM radio. Cost varies, but you can be into a decent handheld radio and antenna for well under a couple hundred bucks. For bigger bucks, you can set up a home station and antenna tower. Check it out for yourself at Amateur Electronic Supply (www.aesham.com) and the Ham Radio Outlet (www.hamradio.com). You will also find books and CDs for any level of license study. ARRL (www.arrl.org) has a wealth of info about classes, online sample tests, clubs and much more. Need a personal touch? Call the president of the Rodeo City Radio Club at 509-933-4051. Your family can be far better prepared for what lies ahead. It’s fun, too.